Ambassador: A tireless horse. India has witnessed two types of horses traditionally. Out of these two, one type performs the prestigious tasks of short duration like participating in the races, carrying grooms to the wedding halls. The other type does the arduous tasks of transporting VIPs as well as common people, almost 24X7. Soon, with the dawn of modern era; vehicles replaced ‘Tangas’ (the traditional horse-drawn transport medium in India). This resulted into the emergence of a class of vehicles which relentlessly served like the ’Tanga’ horses. Unfortunately, the most influential horse from this category is now retiring from the service. Yes, this is the story of the true ‘work-horse’. This is the story of Ambassador - an iconic car produced by Hindustan Motors and the legendary workhorse of India’s passenger transport industry. It dominated the Indian roads till 20th century. The company decided to stop the production of India's most popular. This led to the mixed bag of emotions among the customers and general public. 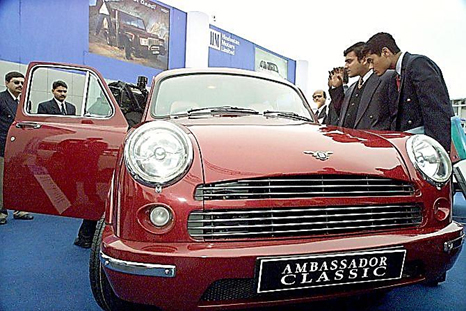 Despite having originated in Britain, the Ambassador is always considered as a true Indian car. This is evident from many of the unofficial titles it received such as "The king of Indian roads" and “Amby”. 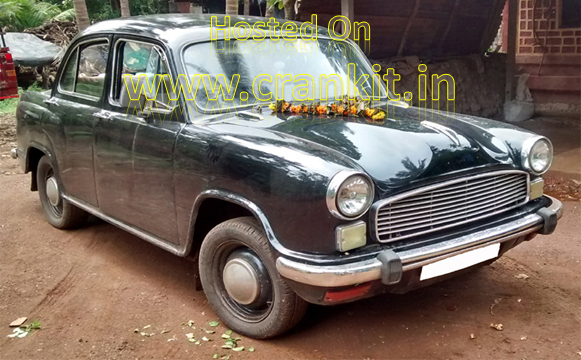 Hindustan Motors began production of Ambassador Car in India way back in 1958. It has since been the backbone for India’s passenger transport till the recent past. Ambassador offered tireless service day & night of transporting people, goods and what not from 70s to 90s and beyond. 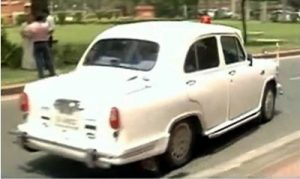 Ambassador was initially considered as a personal transport for well-to-do Indians; especially people like higher office bearers, businessmen, bureaucrats, politicians, high rank police and military officials, Bollywood celebrities etc. Even the Prime Ministers of India loved this iconic car for its sheer space & comfort. A convoy of white Ambassador Cars with a red beacon light would significantly mean high ranking government officials or a minister traveling which used to be a common sight in most parts of India. Thus, Ambassador became a trademark for official government cars and also the VIP status symbol of India. Very soon Ambassador caught the imagination of general public or the ‘aam aadmi’ when it entered the taxi segment. The metros of India were once flooded with this model either in a complete yellow or in the black-and-yellow uniforms; ready to serve the people. Ambassador also helped in creating jobs for the urban poor. It created a unique community of ‘taxi drivers’. Driving a taxi was once considered as the most sought job among India’s hard working but economically marginalised class of people. Travel agents often used Ambys as tourist vehicles across India. So, Ambys have made a way through all types of road conditions of India. However, just like the ‘Tanga-Horses’, Ambys occasionally got neglected by their operators in terms of maintenance and grooming. They were fed only with the fuel and were expected to work day & night in hot sun of Delhi, humid winds of Chennai, stormy and flood-like whether of Mumbai and the challenging hilly terrain of India throughout their life. Still, Amby served the people without breaking down most of the times. Without complaining about the unfair treatment meted out to it; Amby endured the test of the time and still continues to do so. Although Hindustan Motors revived Amby with minor facelifts. However, it was too little and too late. The noticeable change was in the badge which transformed from Mark-I to Mark-IV. Then the company introduced Amby’s variants starting with Classic and followed by Grand, Avigo and Encore with some major internal changes. But, its looks and appearance remained mostly the same. Sadly, even after these changes Amby did not impress much with sales figures. However, the fans still love it for its space & comfort. Amby still remains one of the most spacious and comfortable cars in India today. This unique quality of Amby became one of the inspirational ideas leading to the birth of India’s first indigenously developed car the Tata Indica. The then TATA Chairman Mr. Ratan Tata wanted to develop an indigenous car which had the ‘combined size of Zen, the internal space of the Ambassador and the price of the Maruti 800’. Recently, in a competition of its kind, Amby competed against the taxis form world’s top countries. They included Britain, America, Germany, South Africa, Mexico and Russia. BBC’s TV show Top Gear adjudged India’s iconic workhorse as ‘World’s Best Taxi’. Despite this, the real workhorse continues to lose its sheen to its competitors and Amby will fade away in near future. Now, Amby’s parent company Hindustan Motors has decided to pull the plug on this eldest model citing weak demand and a lack of funds. It is not clear if and when the production will resume. Entrance of new brands & models in Indian market. Lack of design innovation by Hindustan Motors. Amby’s overall looks remained the same. Slow pace of technology upgradation. Eventhough the Amby lacks appeal of ‘modern day car’, it still remains India’s most sought-after car in the history because of its simple & traditional look, spaciousness and comfort. Most of the owners, operators, fans and general public still admire the Amby to whom it served with dedication and devotion! Home » Articles » Ambassador: Does the road end for India’s true work-horse?